Whether it’s the best reason ever (like your friend having an adorable baby boy) or a rough season (like sickness or loss) – sometimes, you need to throw together a dinner for someone you love. So today I’m sharing my go-to meals to take to others with you! (And let’s be real, my future self will refer to this.) Each is noted GF = gluten free, EF = egg free, DF = dairy free. I haven’t noted soy free because it will depend more on the products you buy. Always check the ingredients!! This can also go for gluten, but I’ve included specific notes where it’s likely to pop up. I feel like lasagna is such a staple for taking to loved ones. 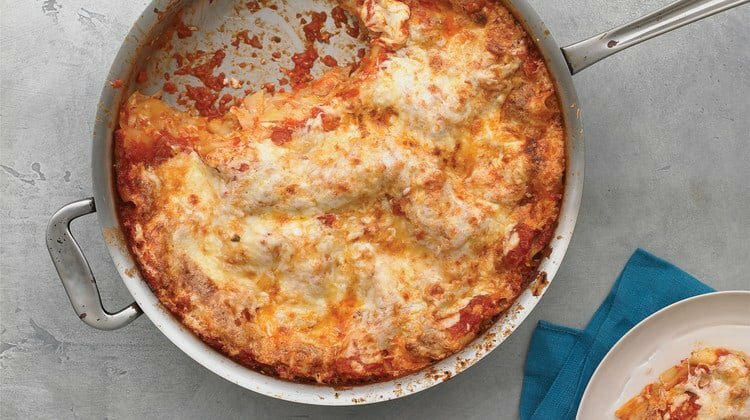 However, this recipe taught me that it’s WAY easier than I thought and finally broke me of my habit of purchasing frozen lasagnas (I know, I know…) Do yourself a favor and make 2 at a time, so you have dinner yourself! One wedding gift we received that has made taking dishes like this to others is this handy tote*. I honestly didn’t think I would use it at first, but it has saved me from a lot of burns in transport!! It’s also great because you can use your glass baking dish (if it’s someone you see often and can get it back) or you can use a 9×13 disposable tin*. Either way, it is surprisingly helpful! 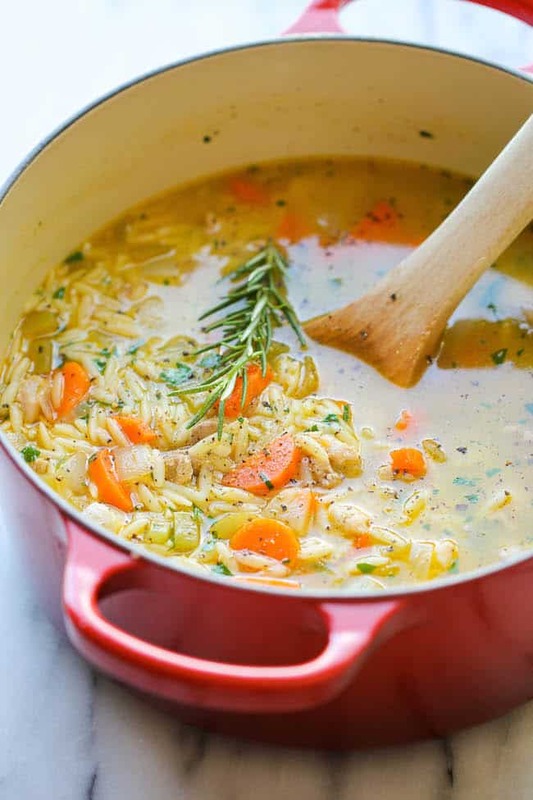 If it’s cooler outside, this is such a cozy soup to serve! Make sure to bring some great bread that only needs a quick toast. 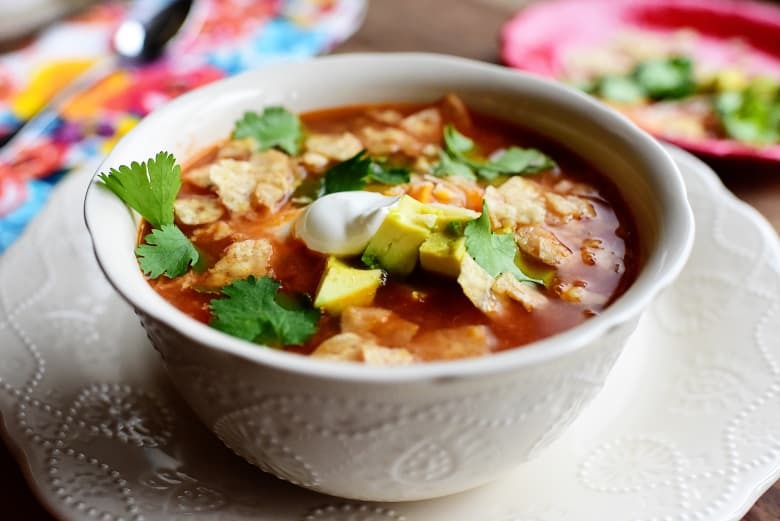 You can also bring a salad if you want- although this soup is packed with veggies already! I love this recipe because “Asian” food doesn’t often come to mind when bringing dinner to someone. 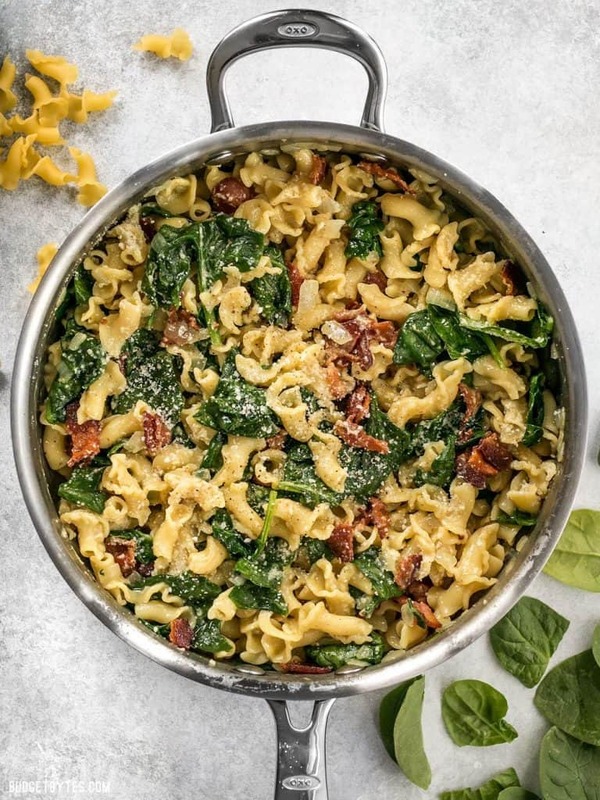 It gives some great variation to the soups & pastas, plus is a homemade version of some awesome takeout! Recognize these from the Top 10 Starter Recipes? Easy, cheesy- can’t get enough of it. Both recipes can be done in the crockpot or quickly on the stove-top. Just don’t forget the toppings! 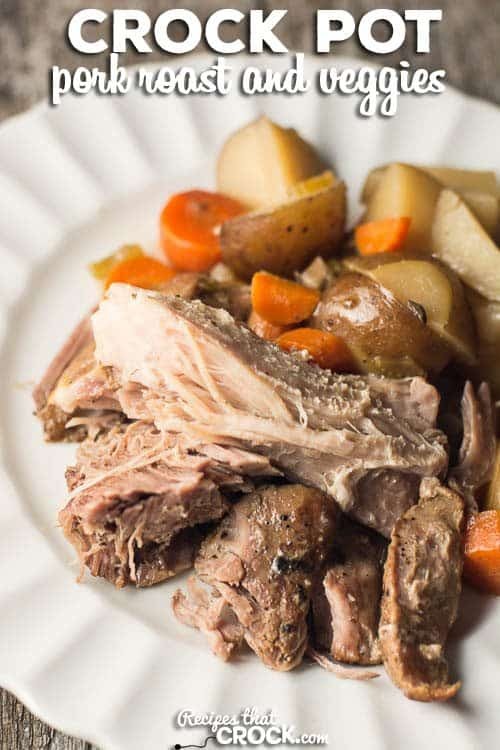 Crockpot is the way to go for an easy meal if you don’t have too much time on your hands. 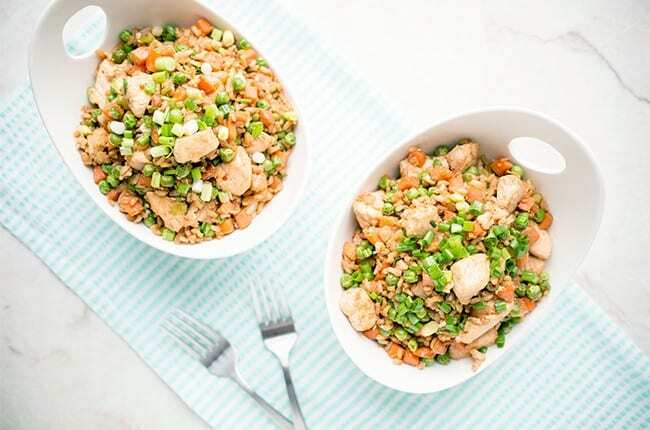 Whether you use chicken, pork, or even a chuck roast, it will be falling to pieces by dinner time and perfect to take over to a friend! I love using a crockpot that has clips for the lid because it makes it so easy to unplug and take over! We’ve had this one* for 4 years and it is absolutely perfect! Consistent with every recipe I’ve ever made from Gimme Some Oven, I found this recently and LOVE it. I’m ashamed (or not ashamed?) to say I’ve also tried adding a little bacon to the recipe early on to give it some extra flavor and love it that way, too. Of course, it wouldn’t be vegetarian then, but it’s an option! This is how you do pasta. Seriously so tasty & easy to make! Coming from Budget Bytes, it’s also easy on the wallet! 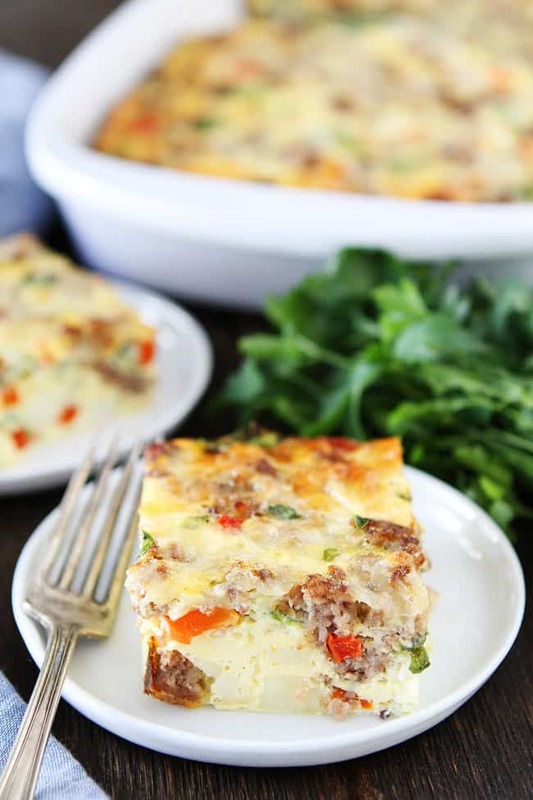 While breakfast casserole can be done many ways (and done well, I might add) – there are two takes that are my favorite. First is the sausage-crescent roll combo like this one. And also amazing is more potato-focused like the one here. Pair either of these comfort foods with some fresh fruit – totally golden. 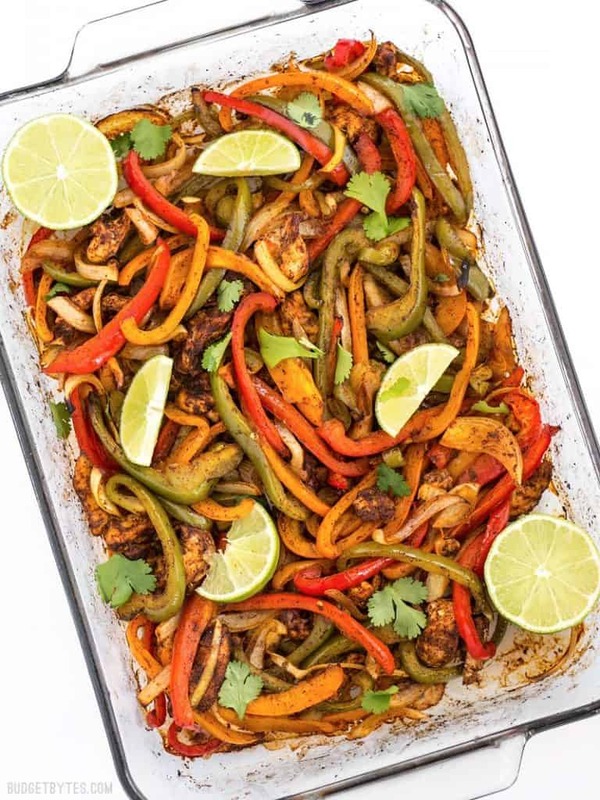 This recipe is wonderful for both baking in the oven or using the crockpot, PLUS my dad said this was the best Mexican meal he’d had at home, soooo there’s that 🙂 I tend to make this on my favorite baking sheet* rather than a glass dish to cut down some of the moisture. Make sure to take over some tortillas, cheese, and sour cream (or plain Greek yogurt if your friends roll like that). Bonus- make a quick salad with grilled chicken! I love putting together a green salad with lettuces, spinach, cucumber, cheese & marinated grilled chicken. 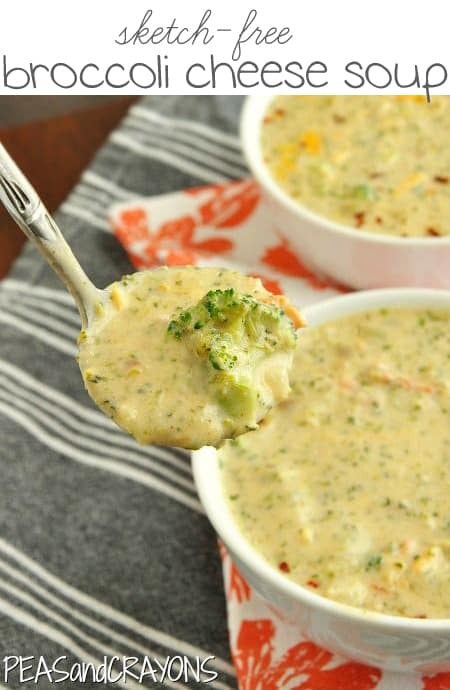 Include a bottle of their favorite dressing or your own quick homemade recipe* and you’re good to go! 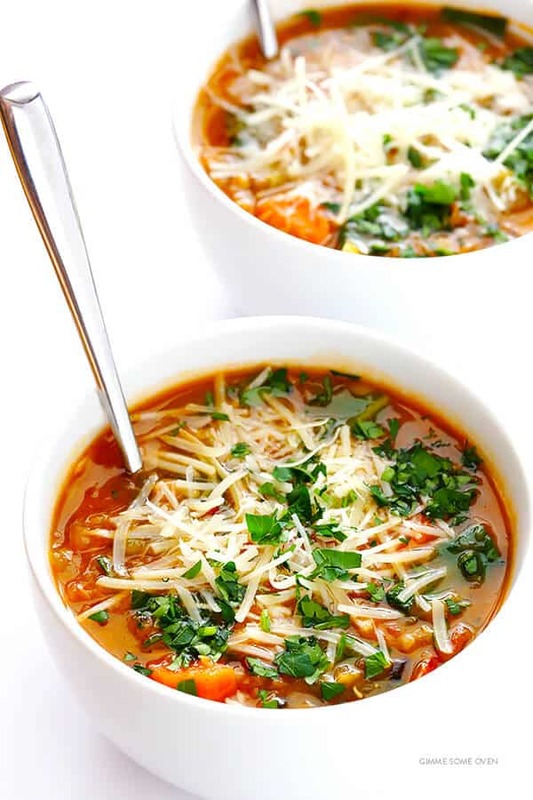 This is especially great during the warmer, summer months when soups aren’t as appealing. Out of town? Have it delivered! Pizza places often have salads, pastas or wings, and other places like Panera offer delivery, too! Save this post on Pinterest for when you need it! « Holiday Shopping List & Budget Tracker – All-in-One! Brennan, this is so great! The times that I have thought, “I need to take food over” and not done it, I have felt so guilty! Usually, it’s just a matter of not knowing what to take. Not wishing ill on anyone, but next time someone’s sick, I’m going to be ready! These are great ideas! As a recipient, meals are much appreciated. As a giver, I find that for soups go over especially well for some reason. So, thanks for the new soups! 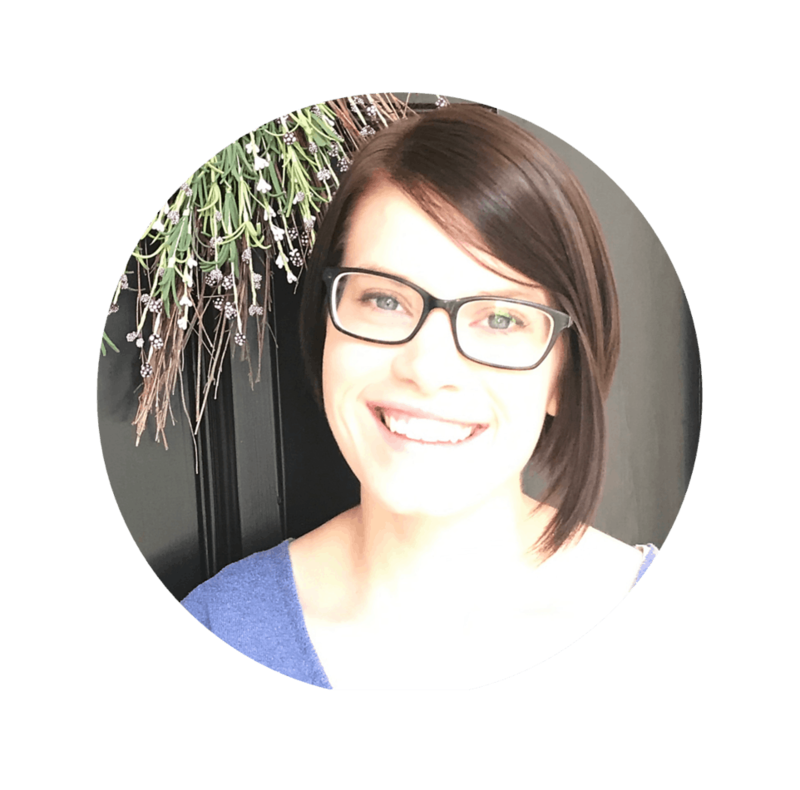 On another note, because of your helpful content and design: I am nominating you for the Liebster Award, an award for up and coming bloggers given by other bloggers. I have reviewed more than 25 blogs. Because of your helpful content and design, you were one of my picks. If you are interested in learning more, please follow this link: https://navigatingtheyears.com/liebster-award-nominee/. Thanks, Ashley! You are SO encouraging. I loved reading your post and will definitely be sure to do my own in the next few weeks. I think it’s such a great way to connect as bloggers and learn more about each other’s area of interest & expertise. Love following yours!